The metallic lip trend is definitely not slowing down. 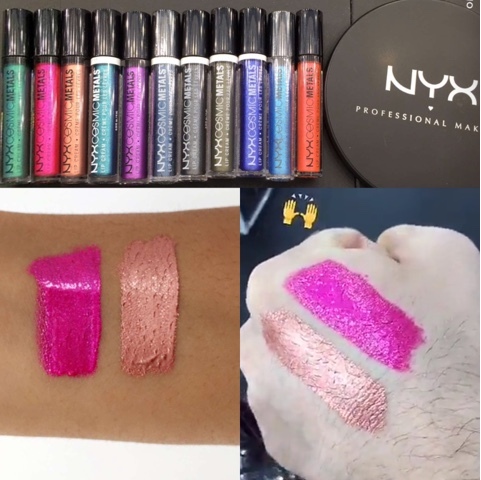 NYX isn't new to metallic lips but their new take on the trend is a showstopper. 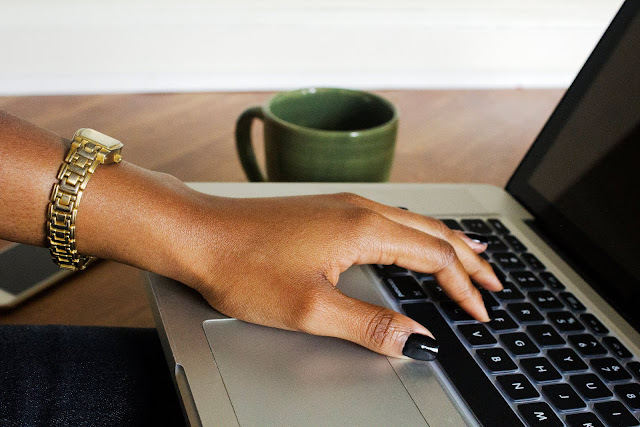 The liquid to mattes may still be all the rage but many beauty lovers are eager for something new. 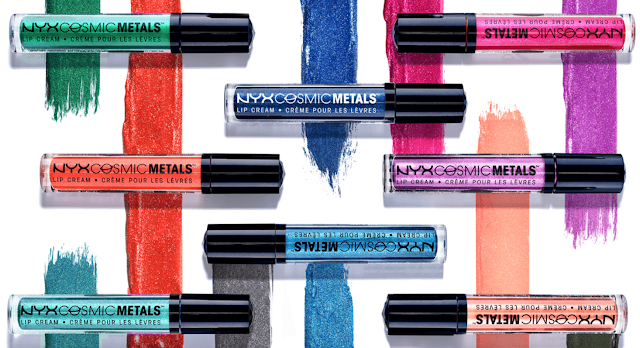 NYX may have just what they need with their new Cosmic Metals Lip Creams. They are liquid lipsticks with the pigmentation of a lipstick and the shine of a gloss. Think OCC metallic Lip Tars or Lip Hybrids. 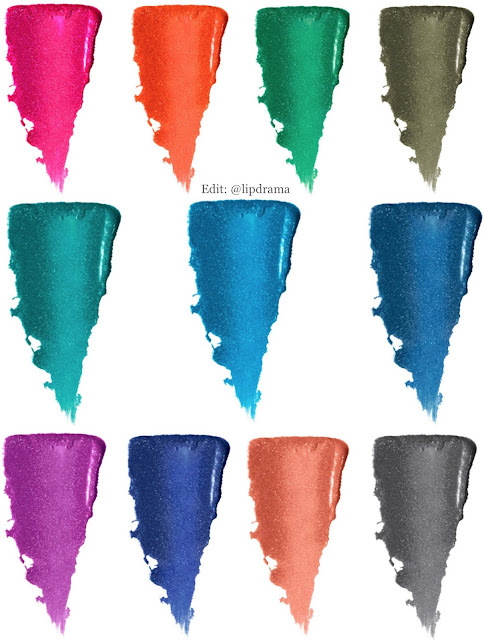 Here's swatches of two of the shades in the collection. I will definitely be getting Speed of Light when it hits stores. I kinda have a weakness for rose gold. 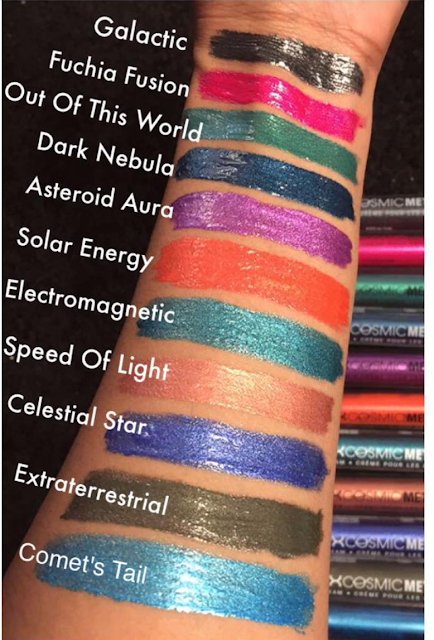 >>>UPDATE: Here's swatches of all 11 shades via NYX Cosmetics Snapchat. These are affordably priced at $7.50 each and can be purchased from the NYX Cosmetics website here. These should be in stores soon but if you can't wait and decide to order from the website be sure to use code WELCOME25 for 25% off your first order. ok I NEED speed of light!